This handy umbrella clamps quickly onto your easel, table, or chair and positions easily via a flexible plastic gooseneck. The 51" diameter shade is made of translucent white nylon. 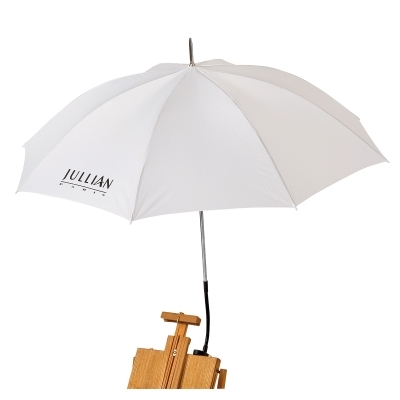 It provides relief from the sun without affecting the colors on your palette.